Priti wore a pink head band matching with her frilly frock as she held the hand of Sneha. They headed towards the super store. Sneha had just driven the car through the morning traffic after taking a short cut advised by the ‘smart card’(almost transparent of the size of a credit card) that she had consulted, while driving. It was getting updated with the GPS system and indicating the route with least congestion. She entered the parking bay where there were no attendants. She scanned the smart card on the sensor and the time of entry was indicated as the boom at the toll entry lifted. Having parked the car she headed for the entry to the store and once again looked at the map of alleyway on the smart card indicating the ‘Grocery section’. She collected the grocery and tossed them in the cart while the bar coded prices of items were scanned and were being added up on her smart card. All the groceries were packed in an environment friendly carry bags that were self-destructible after use and left no carbon footprint. She then moved to the clothing section where she had planned to buy a chic western dress for herself and a pair of stockings for Priti. They both stood opposite the huge electronic screen that gave measurements of everything from undergarment size to footwear and even the bangles through the smart network and electronic data interchange on her smart card. They both walked through the alleyway and collected the dress and stockings as the prices were once again registered by the smart card. Having completed her shopping they walked up to the Electronics section where Sneha intended to buy a battery charger and the ‘new ultrasonic shaver’ for her husband Pradip whose birthday was round the corner. The brand she was looking for had an ongoing promotion scheme of 20% reduction in price. She picked up the items and the discounted price of the shaver and the battery charger were once again added on her smartcard. As she prepared to walk back for making the payment a reminder flashed on her smartcard that she had yet to buy a packet of Oats and a multigrain bread! She headed back to the counter and added the packet of oats to the cart and as she picked up the loaf of bread, the electronic display on the counter flashed that it had passed the expiry date! She replaced it back on the shelf and picked up another one. Having completed her shopping she walked to the billing section where the items were checked and packed in the carry bag. The cost was reconciled by the billing clerk with the smartcard , again by the electronic data interchange! Using the preferred mode, the payment was done with her linked credit card account. The shopping was completed in less than an hour! While the billing was in process a promotion of a chocolate cake recipe was being advertised on the monitor display! She quickly synchronized her smart card with the recipe on the screen that was downloaded on her smart card! ‘Would you like to have an ice cream Sweetie’ Sneha asked looking at Priti! She rolled her eyes in delight, as they both entered the fast food counter adjacent to the super store. Sneha ordered an ice cream and a burger and made payment one more time with her smart card! Having completed the errand both of them took the elevator to the basement and unloaded the cart in her car. Sneha , turned the ignition and moved towards the toll. She stopped the car and scanned the smart card on the sensor that flashed the total time of parking and the parking cost. She made the payment with a touch of smart card, as the boom lifted. They happily drove off to home! PS: 1.This post has been written for ‘The Future of Shopping’ promoted by Indiblogger and eBay(bit.ly/eBayCheck_Extention). It highlights a day in the life of Sneha a young housewife in the year 2030 where all transactions are cashless using a multipurpose single smart card! Rahul you have very beautifully picturised the state of shopping in the future. It is interesting to visualise that a smart card will take all'decisions'. A day will come when Sneha will not even leave home. The smart card will take care of 'every thing'. Best of luck for the Contest. Thanks Ushaji!Things will change radically for sure! I wish some of these things become a reality or even better than this Arti:)Thank you for your wishes! Ah, one solid smart card, that! Fun read, Rahul! :D All the ebst for the contest! Well,well,a peep into the future-good luck Rahul. I wish I could look even deeper in the future! Very interesting future perspective Rahul! Good visualization of the future. One thing that I think may not be needed in future will be adding the items into the cart. Customers can just make their choices and collect all items at the check-out counter. You have described it all really well Rahul Sir. The future shopping with smart cards. There wouldn't be anymore surveying things, or bargaining for prices in markets, such things have their own fun. having to look around for things in market is more fun then to sit at home and surveying online, which I agree is time saving and efficient. I know what you mean Jemina! Anyway one thing assured that at least in India though there would be sweeping changes but some of the good old things would certainly stay like bargain stores, roadside vendors etc:)Thank you! Well.....that would be my dream!! I'm so looking forward to a shopping like this.. I think the day will come soon enough.. I root for technology all the time. Ha ha ... who would not like to see some of the wonders in our lifetimes:)Thanks a lot Jyoti! I loved this future shopping experience Rahul. I would love to shop like this. Super interesting post. You make shopping sound fun - well, almost. (I'm afraid I don't like shopping...) Well written! well it is not far away. When I was in the US this time my sister paid for the parking meter with her iphone and every her coffee at starbucks. Now there are apps by most stores that you can credit the account and then use the app to pay without using cash. Even the toll there is an easy pass which is on the windscreen that just recognizes it while you drive and you dont need to stop to pay toll. 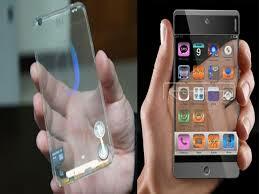 Now the new iphone which came out on the 10 of September recognizes your finger prints!! Thanks Asamptha for having been able to relate with your recent trip to the States and to bring out the new innovations adopted. Yes, Iphone 5S is heading in the direction of a universal Smart card and we may not even have to wait till 2030 to experience the changes if the environment supports it!! Shopping ideas via story narration is a great idea. The day is not far away when what you have written comes true, or maybe it is already true in some countries. I want that smart card. Also those environment friendly things should be launched real soon. What I like most was that reminder service. We always forget one or two items even after having a list. Saru, one thing is certain that if any of these things become a reality you will be a proud owner before me:)Yes, we need reminders constantly as we get forgetful when one needs to remember!! Till I came to the P.S. I kept thinking shopping in some stores in India has to be so much smarter than shopping in NZ. A lot of what you describe already happens here but not all of it. The expiry date idea is cool. If the future of shopping is anything like this, I hope we can have it a possibly sooner! The idea of the smart card is fantastic, so functional and time-saving. And the reminder is something that all of us need. Theres nothing worse than having all your shopping then but coming home to discover you forgot something on your list. Good post! Thanks Sam for liking this idea.These realities are not too distant now! Very exciting, innovative and interesting shopping experience sir.. All the best for the contest.. Thanks a lot Binu for having liked this innovative idea!